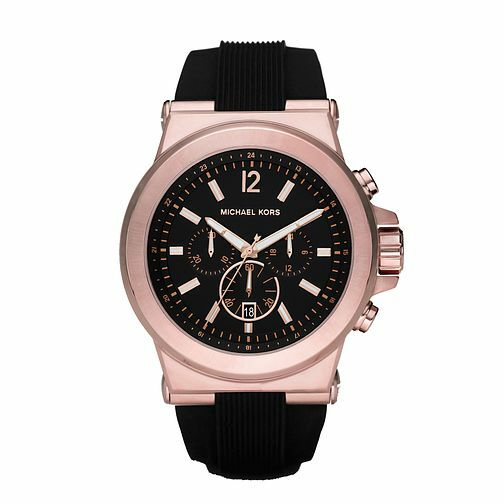 Sporty but sophisticated rose gold tone timepiece from the Michael Kors Gents timepiece collection features a chronograph and date feature. The rose gold accenting on the dial makes this watch perfect for the sports luxe look. Michael Kors Men's Rose Gold Tone Strap Watch is rated 5.0 out of 5 by 1.